CAT Roofing is a privately owned roofing company, built on values of safety, service, and quality, and has been providing quality roofing services to the Northern Virginia area for over 15 years. 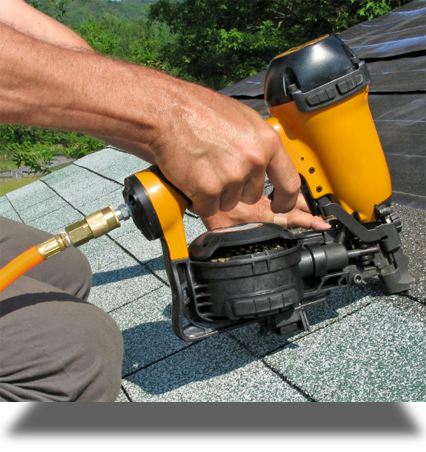 Our roofers specialize in roof repair, roof replacement, roof coating, and waterproofing, as well as other services such as siding, gutters, and other home repairs. Our experience is evident in our craftsmanship, as we take great pride in fulfilling all of our customers' needs. We strive to make things as easy as possible for each customer and offer a low-pressure sales environment — we will not constantly hound you on the phone and try to pressure you into a contract; our goal is simply your satisfaction. We understand that purchasing a new roof is a major decision and we are here to help. While most companies leave you high and dry after the job is finished, CAT Roofing is available to help you — both before AND after the sale. We answer all customer inquiries in 12 hours or less and are there to help with any questions or problems after your roof has been installed. Every home is different and every customer has different needs. At CAT Roofing, we understand that, which is why we offer custom, innovative solutions to each project that fits your individual needs. Our core values are built on quality, integrity, service, safety, and building a personal relationship with each and every customer. As a leading roofing and siding company in the area, CAT Roofing is committed to providing the highest quality of service possible. We strive to set the standard for roofing contractors by backing all of our work with the CAT Roofing guarantee.